Maybe just remove IE8 script and build without it? I thought you needed IE support, I don't use IE at all; I only use Opera and it works great! Version of IE is not critical. I try build without iexplorer.script. Same error. On two different machines. That one happened to be one that worked well for me, obviously it doesn't work for you. There are other (LiveXP) projects and other IE scripts/versions around but whether they'll work for you I can't say. Good luck. I`ll test iso you make. Edited by Mankiz, 27 September 2011 - 02:16 PM. For me this worked re: pppoe connection (even I used an sp3 version as source). I wander if the PEDialup.script exists also for win7PE 'cause I couldn't find it ? 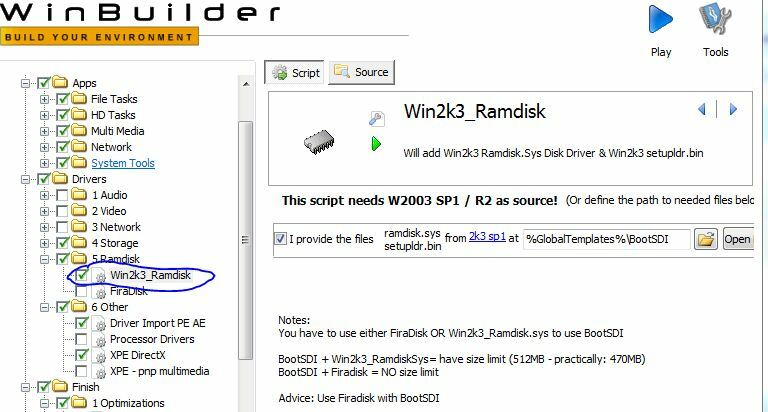 the option to use the Ramdisk from Windows 2k3 and not firadisk. 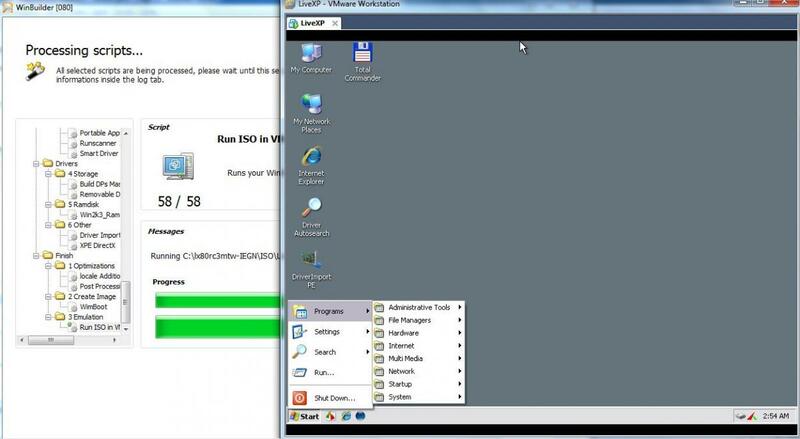 You need win2k3 files to use Ramdisk. Portable 7 PE made with Make_PE3.exe has PPPoE and IE support. I'm aware of your project and it works great however I find that win-builder-based projects are easier to customize. Hmmm, there was no issue with the project missing 2k3 files (based on Mankiz logs)... raptor7 then said the build worked for him (LiveXP) but wanted to know if PEDialup.script exists also for win7PE, it doesn't AFAIK. No errors on default build. Was wondering why that script was defaulted to that option. but it only seems to matter if you select to use bootsdi. Successful build and boot from defaults.